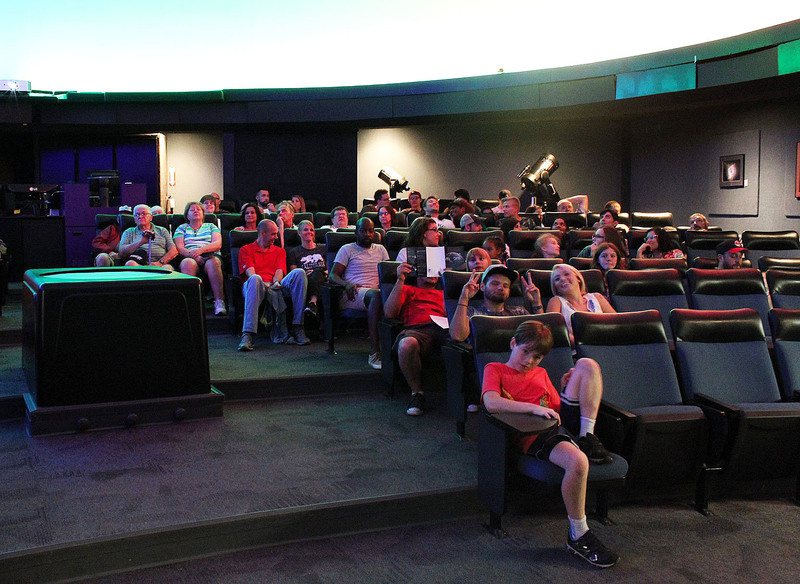 The Ward Beecher Planetarium showcased the Sky-Skan Definiti domed theater system during its opening weekend on Friday and Saturday. More than 300 people attended the event to view the new technology. “We had the system installed three weeks ago. 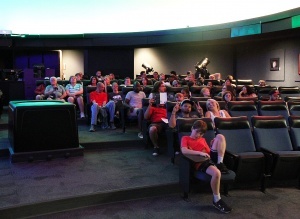 Part of opening weekend is to showcase the capabilities,” Patrick Durrell, physics and astronomy professor and director of the Ward Beecher Planetarium, said. According to planetarium lecturer Tiffany Wolbrecht, prior to the Sky-Skan system, the Planetarium used the Spitz SciDome System, which showed pre-recorded shows. The new system can use actual astronomical data, can travel anywhere in the universe in real time and can render 3-D models of astronomical objects such as planets. Two projectors are now working together to produce an image on the dome. Sky-Skan also has 16 times the resolution of the SciDome and 4,096 pixels, Wolbrecht said. According to Durrell, the planetarium used computers that were 12 years old before the new technology, but the Sky-Skan system requires six computers to run. “Our regular visitors will see a change in clarity and a higher resolution,” Durrell said. To showcase the functions of the system, the audience was shown a series of trailers for events that will come to the planetarium. One trailer that received the attention of the audience was “Chaos and Order: A Mathematical Symphony,” which shows full-dome images and incorporates music. It combines math as science and reality to create art. The planetarium does not have this show yet, but plans to in a couple of years, Wolbrecht said. The system has the ability to show a digital sky, and Wolbrecht said it is one of the best digital skies she has seen. Wolbrecht interacted with the audience and asked them to find constellations on the dome. She said the system is able to pull up photos of objects in the universe via photos from the Hubble Telescope such as the Andromeda Galaxy, which is 2.5 million light years away. Nick DeLuca, physics and astronomy student at YSU, controlled the system and was able to show the audience what the particles in Saturn’s rings look like. He also orbited around one of Jupiter’s moons, Io, which has active volcanoes. “This entire system is awesome. My favorite part is being able to orbit around the planets up close,” DeLuca said. According to Wolbrecht, details in the Sky-Skan system are based on real fact, so the textures of planets and coloring are real. Ashley Lemasters, a physics and astronomy student at YSU, said her favorite part of these updates is being able to view the entire universe. “You get a perspective on how small we really are,” Lemasters said. Wolbrecht said the solar eclipse created greater public interest in the Department of Physics and Astronomy, and dozens of people said it was their first time attending an event at the planetarium. The planetarium’s next event, Harry Potter weekend, will be this Friday and Saturday.